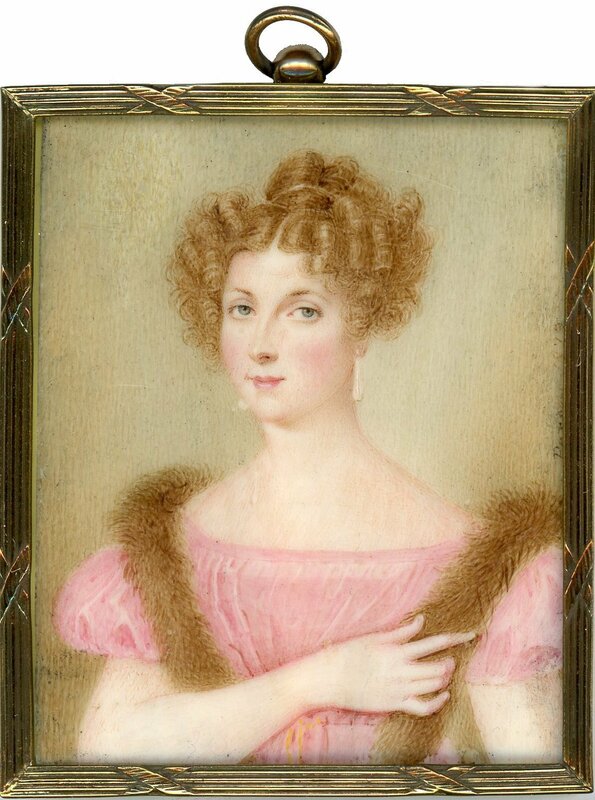 This portrait depicts a young rosy-cheeked lady with auburn curls framing her face She is wearing a pretty pink dress with short puffed sleeves and a wide neckline with pearl drop earrings and a fur boa draped around her shoulders. 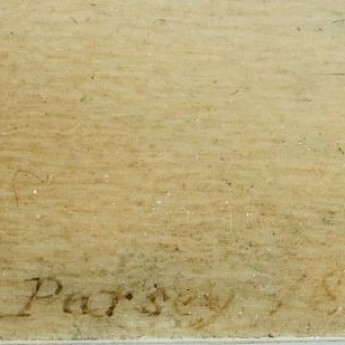 Watercolour on ivory signed on the obverse ‘Parsey 1829’ and again on the reverse ‘A Parsey / London / 1829’. 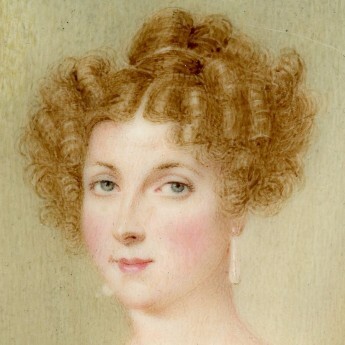 The portrait is housed in a decorative gilt metal frame with convex glass. Fine condition. 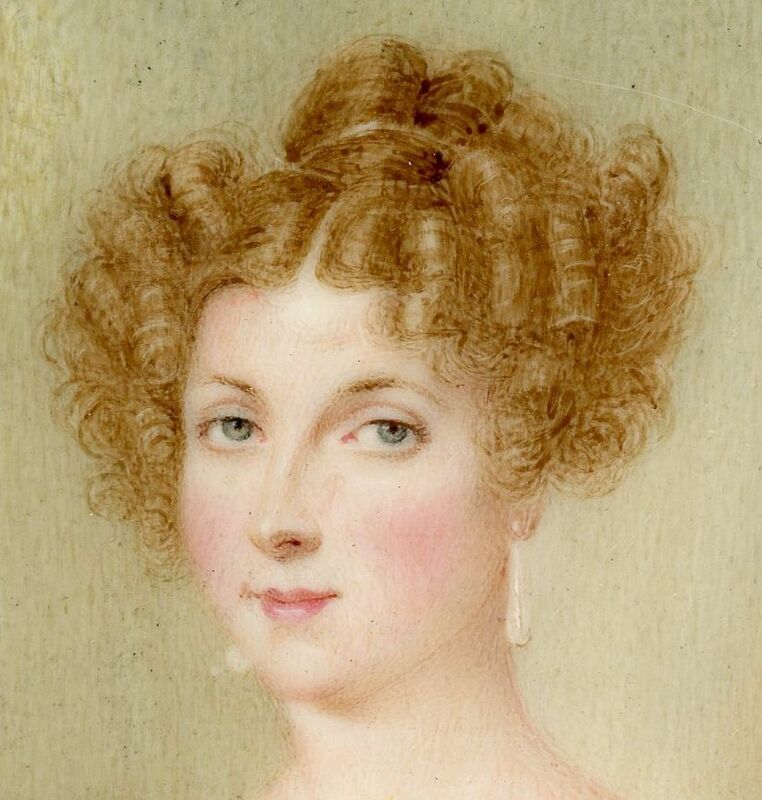 Arthur Parsey (active 1829-1837) was a Professor of Miniature Painting and Perspective in the Burlington Arcade, London. He also published a book on the art of miniature painting and exhibited at the Royal Academy.